The oldest surviving Greek play, Aschylus’ The Persians, was first performed in 472 BC. Though it continues to be performed to this day, we are now a very, very long way from that original production. We don’t have evidence of how it might have looked, nor do we have reviews to describe how it might have registered with its original audiences. Yet it survives: a living, breathing piece of theatre that is not set in aspic but responds to the moment today, as it has always done. At the Edinburgh International Festival in 1993, director Peter Sellars staged it as a response to the Gulf War of 1990-91. An Off-Broadway production in 2003 was in a response to George W Bush’s invasion of Iraq. 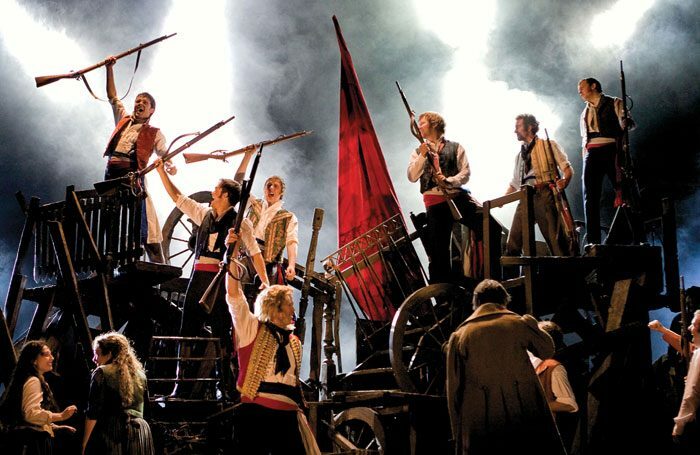 Poll: Are you disappointed that the original London production of Les Miserables is leaving the West End? We are blessed to have a thriving theatrical ecology in which the classics are constantly reappraised and reassessed for how they speak to us today. A play revival may have a one or two-year cycle – the National’s version is on a UK tour with a new cast, while the RSC brought its Macbeth to London’s Barbican from Stratford-upon-Avon – and some productions of new plays, including The Curious Incident of the Dog in the Night-Time or War Horse, may have an even longer shelf-life as they are brought back for return runs. But if plays – other than The Mousetrap or Harry Potter and the Cursed Child – are mostly limited to commercial runs of between 12 and 14 weeks, musicals are generally built for open-ended commercial runs. Their initial capitalisation costs require a longer recoupment schedule; but there’s also a bigger audience overall for them, and a more timeless appeal. Six musicals on now are in the list of the top 20 longest-running shows in West End history. The youngest, Matilda, has been running since 2011; the next youngest, Thriller Live, will celebrate its 10th anniversary next week (January 22) at the Lyric. The record holder is Les Miserables, which opened at the Barbican in 1985 before transferring to the Palace, then to its current home the Queen’s. It will move next door for a four-month season at the Gielgud in the summer to enable the refurbishment of the Queen’s. When it returns there in December, it will reopen, not in the original RSC production jointly directed by Trevor Nunn and John Caird that launched it to worldwide success, but in the overhauled 2010 touring version, co-staged by Laurence Connor and James Powell. I have just seen that tour myself with fresh eyes (and ears) in Dublin, and it is striking how much the show both honours and differentiates itself from the original. Many of its iconic gestures are replicated identically – the flag-waving and the marching on the spot for the Act I curtain song One Day More – and visual continuity is provided by retaining Andreane Neofitou’s shabby-chic costumes and the physical representation of the barricade. In many ways, fans of the original will see a replica. The score, freshly orchestrated by Christopher Jahnke and rigorously played under musical director Ben Atkinson with pin-sharp sound by Mick Potter, remains at the thrilling centre of it – a succession of some of the greatest musical theatre songs of the modern age outside of Sondheim and Lloyd Webber. The show is also still an unrivalled showcase for stunning voices. Killian Donnelly follows in the footsteps of fellow Irishman Colm Wilkinson, who originated the role of Valjean, to give the role a stirring, heartfelt interpretation, while Nic Greenshields graduates through the ranks of supporting characters to give imposing presence and full-throated vocals to Javert. Theatre isn’t a museum. While some may miss everything that went before, there’s plenty to enjoy afresh now.